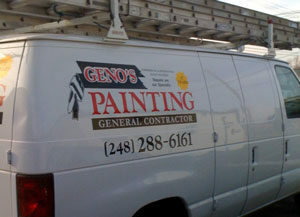 Painting Company Birmingham MI – Geno’s Painting is always focused on meeting all of our customers’ expectations. This means that we use the best materials, employ highly experienced exterior house painters, communicate clearly with our clients at every step and hold ourselves to the highest industry standards. Painting, Plastering, Decorative, Faux Finishes, Deck Refinishing. Geno’s Painting can replace your damaged stucco siding with a concrete product that matches!